Lake Eyre South is about as flat as the earth can get. Whilst walking out on the dry lake, I noticed a very slight rise in the salt bed, about 25 - 50mm. 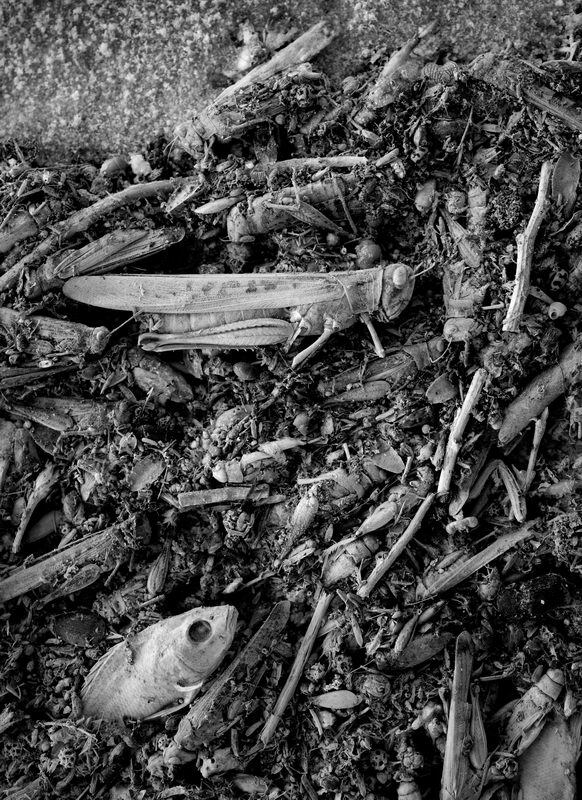 And there, having been blown and tumbled against that feint shore, the accumulated debris of insect life lay slowly dehydrating.